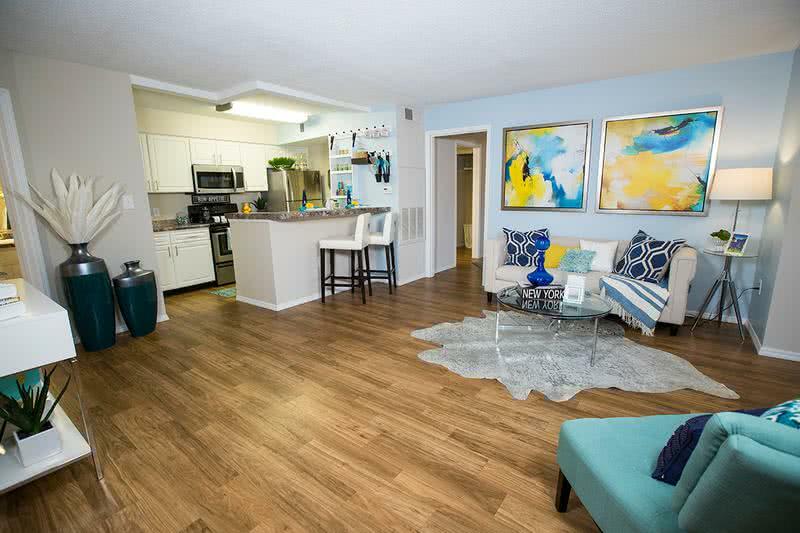 Centrally located in one of South Carolina’s fastest expanding towns and directly off of Sunset Boulevard, come home to River Bluff of Lexington apartments for rent. River Bluff offers you all the best apartment community features with the best value in town. Contact the most talented management staff in the area to schedule a tour, but call quickly as homes are filling up fast! Whether you are looking for one-bedroom, two-bedroom or three-bedroom apartments in Lexington, SC for rent, we have you covered. 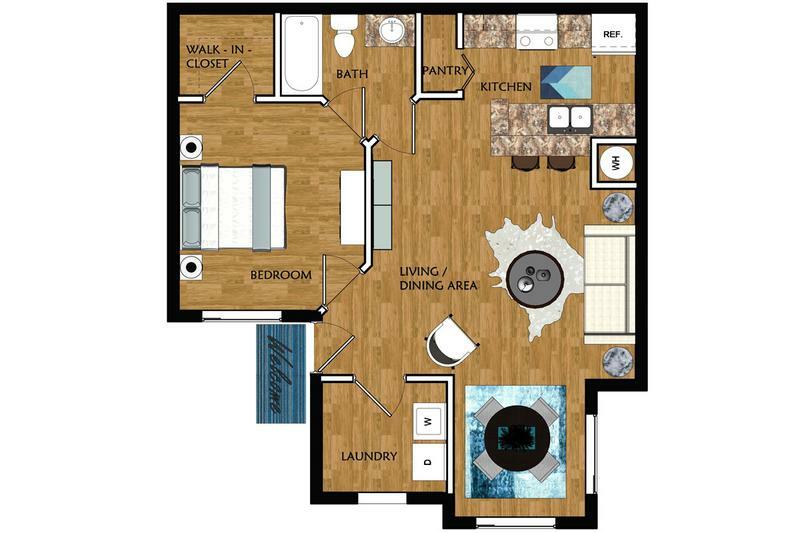 Both the two and three bedroom layouts feature unique split floor plan options, giving each bedroom their own private space. 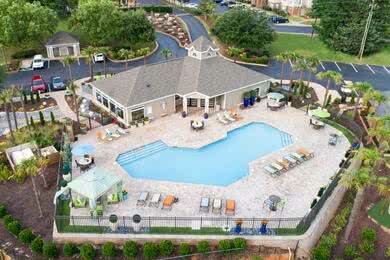 The amenities offered at River Bluff of Lexington make us the best apartments for rent in the area. Each of our spacious apartments in Lexington, SC feature updated, open kitchens with full-sized appliances and pantries. Private, in-unit laundry rooms provide all the space you need for full-sized washer and dryer appliances and all your extra laundry needs. Don’t have your own washer or dryer? We have them available to rent! Each master bedroom offers a complete oasis suite with a large floor plan, walk-in closet, private bath and linen closet. 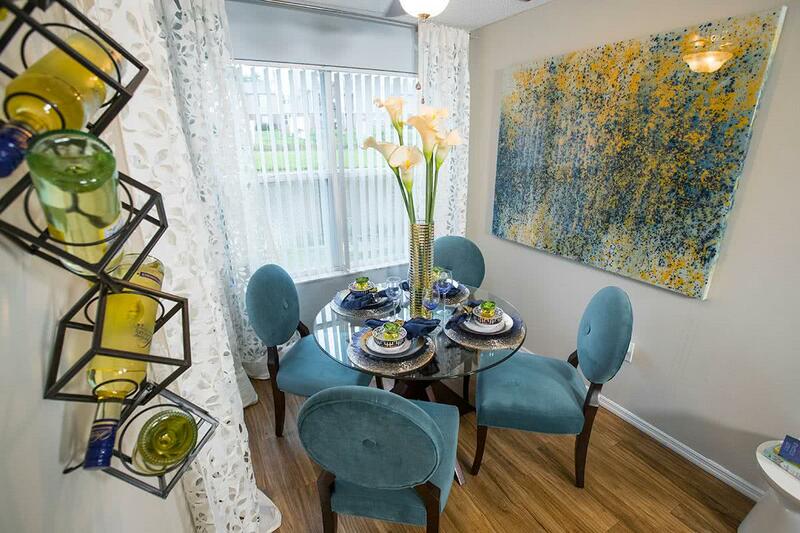 No detail or amenity is overlooked, within the home or throughout the community. Whether you’re looking to relax in our resort-style swimming pool or relax on our over-sized sun deck, you’ll be sure to have a good time at our Lexington apartments. If you’re looking for a higher-paced activity to relieve some stress or get in shape, fitness center is open 24-hours a day and features multiple modern workout machines. Don’t think we have forgotten about your furry family members either! We are a pet friendly community offering pet stations throughout the property, as well as a fenced-in bark park. Our on-site and on-call 24 hour maintenance staff is available to see to any and all apartment issues to make sure you are as comfortable as possible in your new home. Located just minutes from shopping centers, restaurants and area attractions, River Bluff of Lexington offers it all. With convenient interstate access you are close to Columbia, USC and all the benefits of big city living without big city prices. Close to historic and eventful Columbia, a short drive to coastal Myrtle Beach, River Bluff keeps you near all the big South Carolina attractions while maintaining the southern charm Lexington has to offer.